Make your climb count even more! Just follow this link. Click on “Add a team or personal campaign page” then you register to fundraise (this is separate from registering for the race). It only takes a few minutes, but in those few minutes you can start to make a difference in the lives of those affected by kidney cancer. 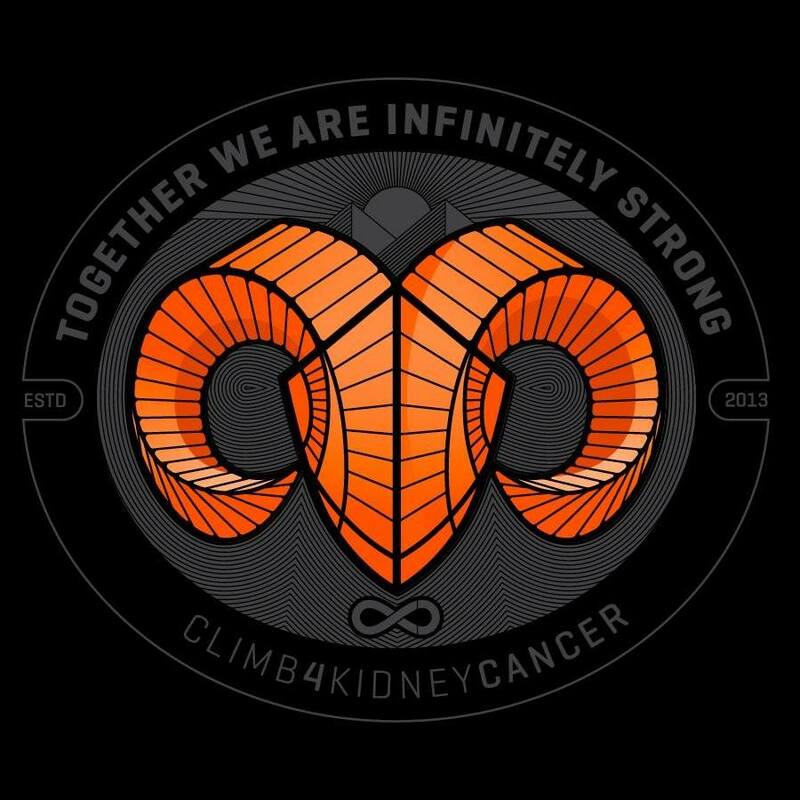 When you register, please indicate that you are raising funds for the climb 4 kidney cancer fund. You can add a photo (highly recommended). You can set your fundraising goal (set a goal you can achieve). If you are primarily raising from friends and family, goals of $250-500 are usually successful, if you include coworkers, colleagues, or other networks, $500-1000 are often successful, if you have a large audience you can reach or a large following on social media etc, shoot for $1500+. 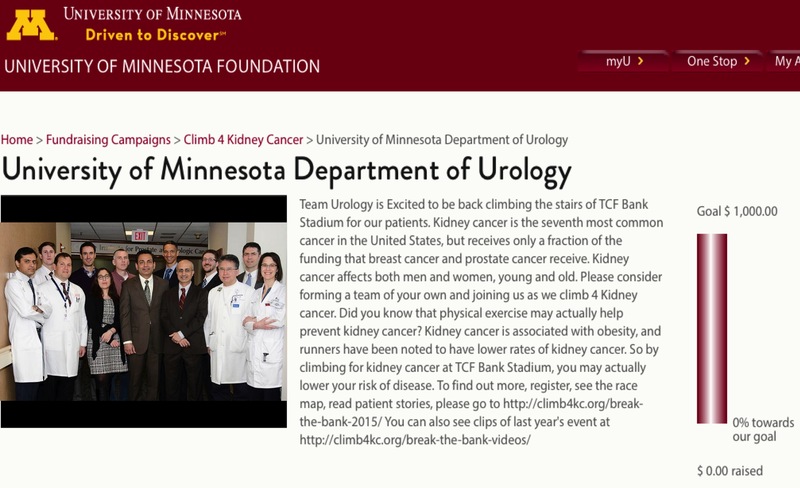 You can also put together a team page through the same site. That way you can have fun and raise money as a team. Head to this page to register for the event and then click here to set up your page.